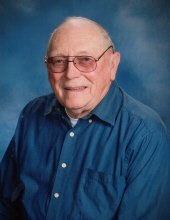 Joseph Hugh Lincoln, age 90, of Tomah, Wisconsin, passed away Sunday, January 20, 2019, at the Tomah Memorial Hospital surrounded by his children and grandchildren. Joseph was born August 15, 1928 to Hugh G. and Leone (Edwards) Lincoln in Wilton, Wisconsin. He left Tomah High School in March of 1946 before graduation to enlist in the United States Navy to serve his country during World War II. Seventy one years after, he finally received his high school diploma, by order of the Governor of Wisconsin. He was united in marriage to Vonnie A. Henning on November 20, 1948; she preceded him in death on July 6, 1996. Joseph was employed at the VA Medical Center where he worked for 40 years. He also trimmed shrubbery in the Tomah area for years. He enjoyed spending time with his friends at McDonald’s for morning coffee, playing cards at the senior center, and watching the Packers and the Brewers. He is survived by his four children, David (Kathryn) Lincoln of Tomah, Dennis Lincoln of Tomah, Doreen (Arlis) Ebert of Sparta, and Deanna Lincoln of Tomah; 10 grandchildren; 24 great grandchildren; two brothers, John (Marj) Lincoln of Milwaukee and Charles (Red) Lincoln of Tomah; and many nieces and nephews. He was preceded in death by his wife; his parents; his grandson, Taylor Lincoln; and two brothers, Thomas Lincoln and Francis Lincoln. Funeral services will be held Saturday, January 26, 2019, 11:00 a.m. at the First United Methodist Church in Tomah. Pastor Krysta Deede will officiate. Burial with full military honors by Tomah VFW Post #1382 and Active Duty Navy will follow in the Mount Vernon Cemetery, Tomah, Wisconsin. Family and friends are invited for visitation Friday, January 25, 2019, from 4:00 p.m. until 7:00 p.m. at the Torkelson Funeral Home in Tomah. Family and friends are also invited for visitation on Saturday from 10:00 a.m. until the time of service at the church. Online condolences are available at www.torkelsonfuneralhome.com. "Email Address" would like to share the life celebration of Joseph H. Lincoln. Click on the "link" to go to share a favorite memory or leave a condolence message for the family.